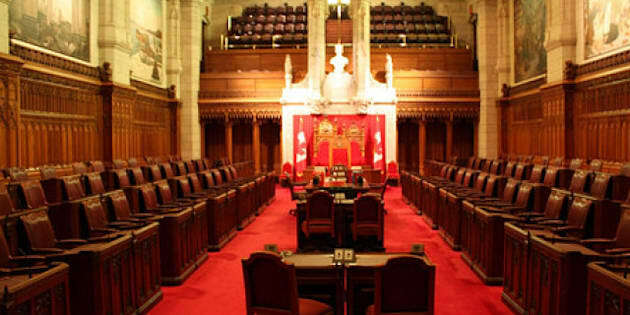 OTTAWA — Some senators are openly suggesting they would like to scrap the 75-year age limit that forces them to retire from the upper chamber. Senators on both sides of the political spectrum mulled aloud Tuesday about the age limit, suggesting if the Conservative government plans to bring in term limits, it should also end to mandatory retirement at age 75. "I find this age discriminatory," he said, during tributes for newly retired Conservative Sen. Vim Kochhar. "If there will be term limits and you come to this place at the age of 73, why should Senator Vim not be allowed to stay until 81 or 82? Age is just a number. That is all it is. I just turned 65 this year," Munson told his colleagues. Kochhar told The Huffington Post Canada last week that he would have liked to stay in the chamber longer. Prime Minister Stephen Harper offered him a Senate appointment on Jan. 29, 2010 at age 73, but he was forced to leave the upper chamber after reaching age 75 on Sept. 21. "I personally would like the age (limit) to be scrapped, I think it is discriminatory," Kochhar said. "If you are not in a good health, you should not stay there, but if you are in a good health and you can contribute, I think you should have more opportunity to contribute," he said. In a letter he wrote that was read to his colleagues Tuesday, Kochhar said: "I am not ready to be put out to pasture yet." Conservative Sen. Stephen Greene also said he thought Kochhar, a man who is up before 6 a.m. and usually works 14 hour days, should not be forced to retire. "The example of Senator Kochhar has made me realize that the 75?year age limit should be reconsidered in the context of term limits," Greene said. "I am convinced that Senator Kochhar has the energy to perform at a high level – at least until he is 76," he added jokingly. David Christopherson, the NDP’s democratic reform critic, said he's not surprised senators want to stay in their cushy jobs longer. "Of course, they want to stay as long as they can, who wouldn't?," Christopherson said. "There isn’t a Canadian anywhere who wouldn't be thrilled to get a Senate appointment and who wouldn't just love the idea that they could just continue to stay there until the ripe old age of a 110. It's absurd," he said. Christopherson, however, acknowledges the idea of altering the age limit was "interesting" if term limits were introduced but he said the Conservatives’ plan for reform was "indefensible" because it didn’t make the chamber accountable. "Yes, it creates a problem. What do you do when you elect a senator who is 70 years old, and they are on an eight or nine year term but the rules say they have to retire at age 75? I agree, it is a mess. The whole Senate is a mess. We should just get rid of it," Christopherson said. The $100 million the upper chamber spends could be put to better use, the NDP MP added. The Conservative government introduced legislation in June that would establish a process for electing senators and limit their stay in the chamber to one non-renewable nine-year term. The 75-year age limit was introduced in 1965. Senators had previously been appointed for life. 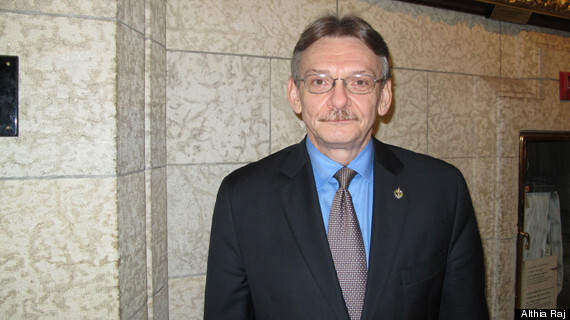 David Christopherson, the NDP’s democratic reform critic.